Vector Illustration Of The Jogging Man And Different Kinds Of Sports Equipment Arranged In A Circle. Including Icons Of Skipping Rope, Stopwatch, Dumbbells And Other. Royalty Free Cliparts, Vetores, E Ilustrações Stock. Image 89042520. 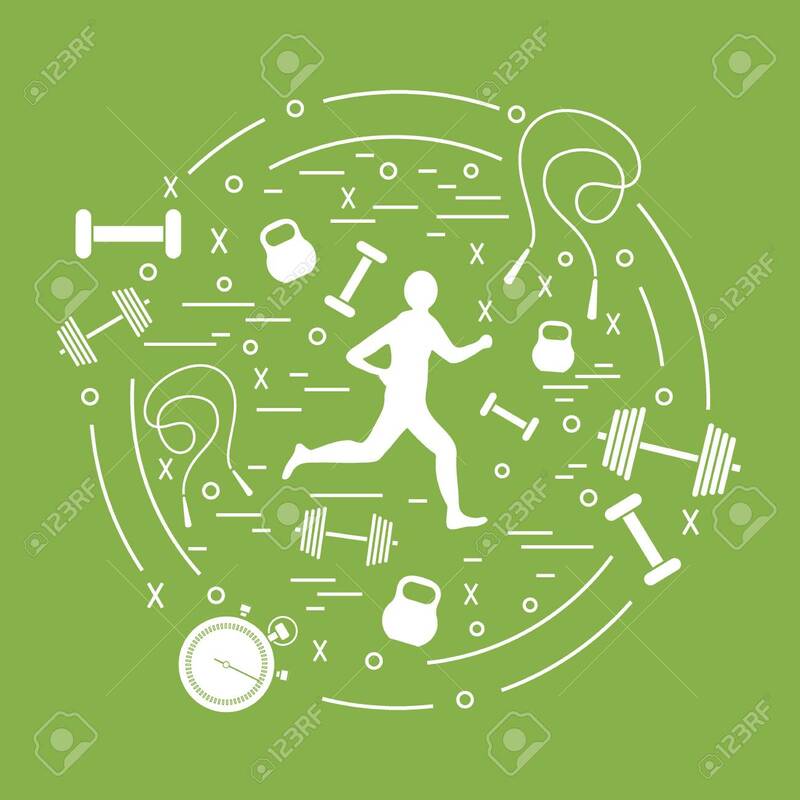 Banco de Imagens - Vector illustration of the jogging man and different kinds of sports equipment arranged in a circle. Including icons of skipping rope, stopwatch, dumbbells and other. Vector illustration of the jogging man and different kinds of sports equipment arranged in a circle. Including icons of skipping rope, stopwatch, dumbbells and other.